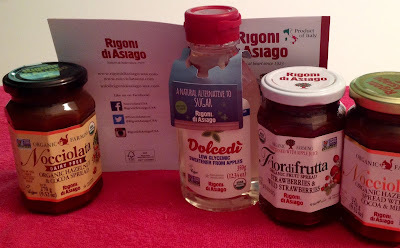 Rigoni di Asiago is a family-owned company from Italy that produces delicious, organically farmed jam, honey and chocolate spreads. 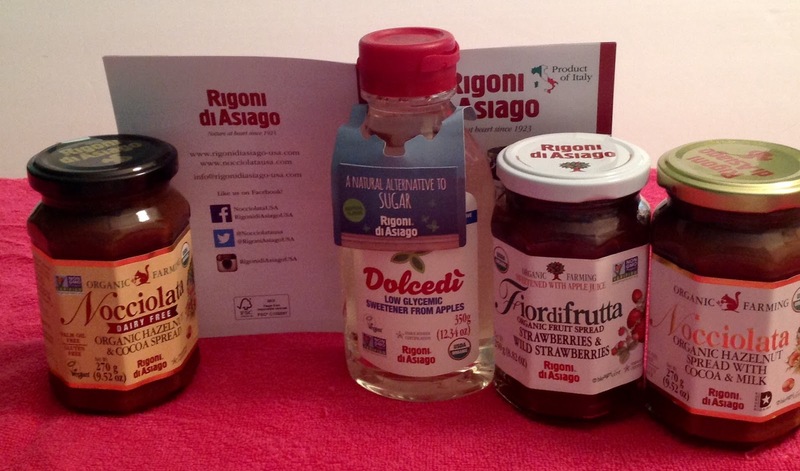 Exclusively developed by Rigoni di Asiago, Nocciolata is a smooth and delicious organic cream of hazelnut and chocolate spread. Its unique flavour and texture are the result of nearly 36 hours slow processing, essential for bringing out all the flavour of hazelnuts and chocolate. Dolcedì -- Dolcedì’ is a new, all-natural liquid sweetener that’s made from 100% organic apples and is a low-glycemic* alternative to sugar and other sweeteners. Line a 12-count muffin tin with six-muffin liners. In a microwave safe bowl or stovetop, melt Nocciolata Dairy Free with coconut oil. Remove from heat and stir in pure maple syrup. Divide mixture evenly among 6 lined muffin cups. Place in the freezer for 2 minutes to allow fudge to firm up. Store fudge in the fridge. Cassandra's review- I love to try new foods and this brand not only has amazing honey but the products I sampled are amazing. Make sure you like hazelnuts because it is in the Nocciolata. The jam is filled with goodness and you can taste the quality.